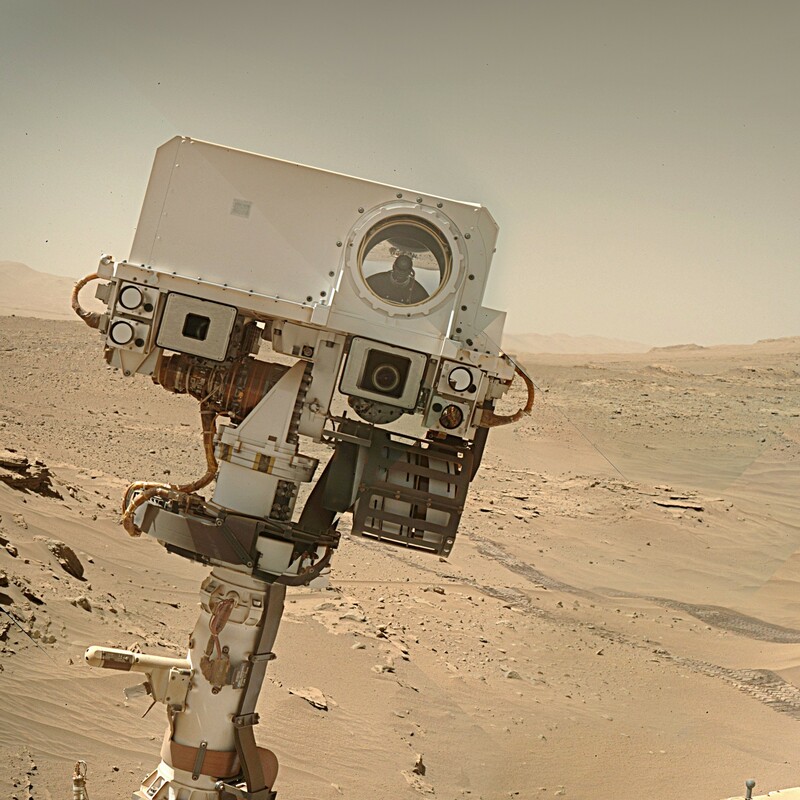 This is very cute — Curiosity’s latest “selfie,” a mosaic made up of about a dozen images acquired with the rover’s Mars Hand Lens Imager (MAHLI) instrument on April 27-28, 2014 (Sol 613) with the 5.5-km-high Mount Sharp (Aeolis Mons) rising in the background. Click the image for a high-res version. While it’s far from a perfect image — there are plenty of discrepancies in the mosaic tiling, I admit — I really like the character it imparts to Curiosity, who almost seems to be giving a toothy (if slightly dusty) grin there with her cylindrical RUHF antenna and a bit of her RTG visible in the lower center. And with almost 21 Earth-months on Mars and lots of discoveries already under her robot belt, Curiosity (and her team) have plenty to smile about! This entry was posted in Planets and moons, Rovers and tagged curiosity, mars by Thomas. Bookmark the permalink.